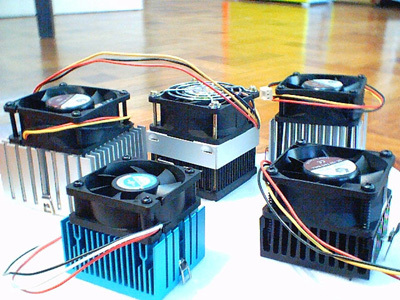 Welcome to Overclocking, Manila's Socket Cooler Roundup. This is the first installment in a series that will be updated whenever new units are received. 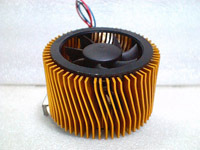 We will compare all of the popular and currently available heatsinks in the Philippines. To test, I brought out my trusty Intel Celeron 366 and overclocked it to 550 using an Asus S370-133 Slocket. I chose this slocket for my tests because it is the most stable one I could find that is available locally for a reasonable price (Php 500.00 at Villman). 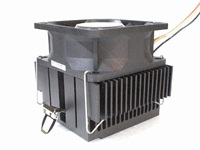 It is also the only decent slocket I have that can accommodate those huge Global Win coolers (FDP32 & FEP32). Another 30 minutes went into getting a stable idle temperature.